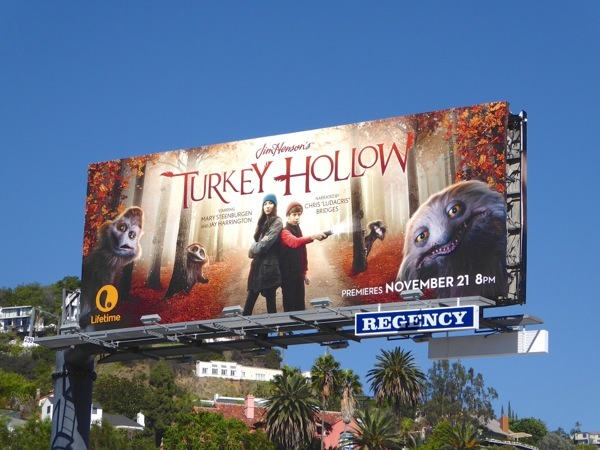 Thanksgiving wouldn't be the same without a slice of turkey, so Lifetime has a festive treat for you this weekend with the new TV movie, Turkey Hollow. Daily Billboard isn't too sure that the world was crying out for a Mary Steenburgen and Chris "Ludacris" Bridges collaboration, but you can't go wrong with the puppetry of the Jim Henson Company. In this original family movie written by Jim Henson and Jerry Juhl in 1968, a recently divorced father and his kids go to spend Thanksgiving at their eccentric aunt's farm, but when she's framed for turkey theft they discover some helpful woodland creatures who help save the day. 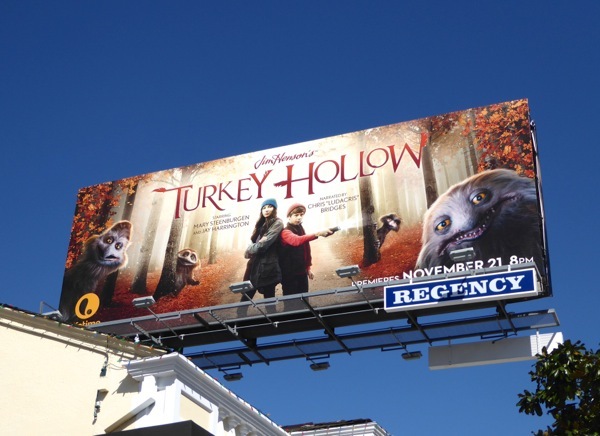 This autumnal Turkey Hollow billboard was snapped above L.A.'s Sunset Plaza on October 26, 2015. 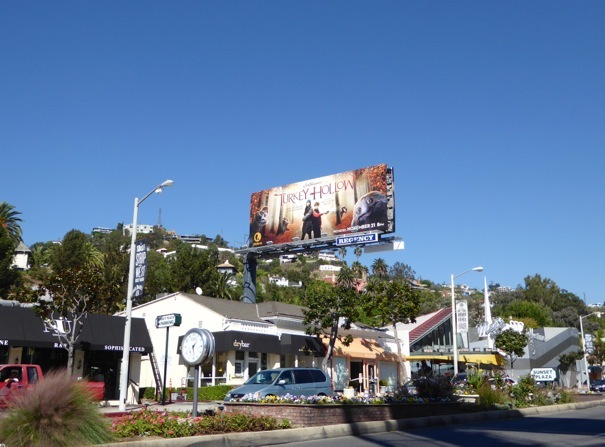 If you're a fan of Jim Henson's other famous creations, be sure to also check out all these fab billboards for The Muppets from recent years. Let's hope this film helps get you in the Holiday spirit and isn't a big turkey.